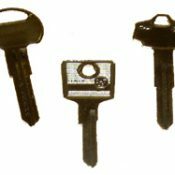 A key for Nissan or Infiniti cars manufactured between 1969 and 1994 cut to number or photo. Models Include: Terrano, Patrol, Urvan, Vanette, 240Z, 260Z, 280Z, Bluebird, Cherry, Sentra, Skyline, Sunny, Violet, Maxima, 200SX, 300ZX, Pintara, Cedric, Gloria, Fairlady, Leopard, Liberta Villa, Laurel, Micra, Pao, March, Prarie, Axxess, President, Exa, Pulsar, Silvia, Gazelle, Stanza, Auster, Tulip, Langley, Florida, Primera, Pathfinder, Quest, Serena, Figaro. We do not use original Nissan or Infiniti blanks, we use high quality steel blanks manufactured by Silca. 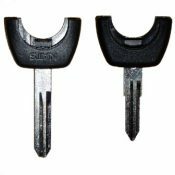 A key blade to fit Nissan key remotes, cut to the locks on your car. Models include: Atleon, Cab Star, Interstar, Maxima, Micra, Navara, Note, Patrol, Primastar, Primera, Pulsar, Sunny, Terrano II, Tino, Vanette, X-Trail. Models Include: Almera 1999-2008, Almera Tino 2000-2006, Atleon 2002-2008, Cab Star 2000-2008, Maxima 1999-2008, Micra 1996-2003, Navara 2003-2008, Patrol 1998-2008, Primera 1997-2008, Pulsar 1998-2008, Terrano II 1998-2006, Tino 2000-2008, Vanette 1996-2008, X-Trail 1998-2008. NOTE: This horseshoe does not include the transponder chip. 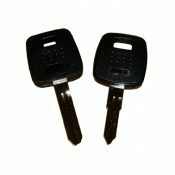 A car key for Nissan cars cut to number or photo. This key will open the doors and turn the ignition, but it will not start the engine without a transponder chip. Models include: Almera 1999-2008, Almera Tino 2000-2006, Atleon 2002-2008, Cab Star 2000-2008, Interstar 2002 on, Maxima 1999-2008, Micra 1996-2008, Navara 2003-2008, Note 2006 on, Patrol 1998-2008, Primera 1995-2008, Pulsar 1995-2008, Terrano II 1998-2006, Tino 2000-2008, Vanette 1996-2008, Xterra 2000-2004, X-Trail 1998-2008. 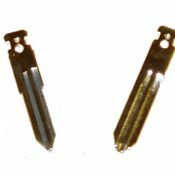 A car key for Nissan cars cut to number or photo. This includes the transponder chip, which will need to be programmed to your car in order to disarm the immobiliser and start the engine. Models include: Almera 1999-2008, Almera Tino 2000-2004, Atleon 2002-2008, Cab Star 2000-2008, Maxima 1999-2008, Micra 1996-2003, Navara 2003-2005, Patrol 1998-2008, Primera 1995-2002, Pulsar 1995-2008, Terrano II 1995-2006, Tino 2000-2008, Vanette 1996-2008, Xterra 2000-2004, X-Trail 1998-2008.